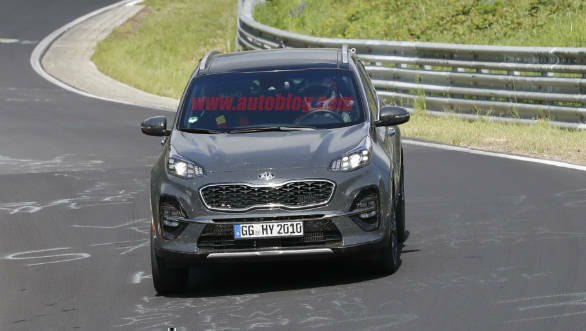 A facelifted Kia Sportage crossover has been seen testing on the Nurburgring. The present fourth-generation car first debuted in 2015 internationally so is due for a mid-cycle refresh. 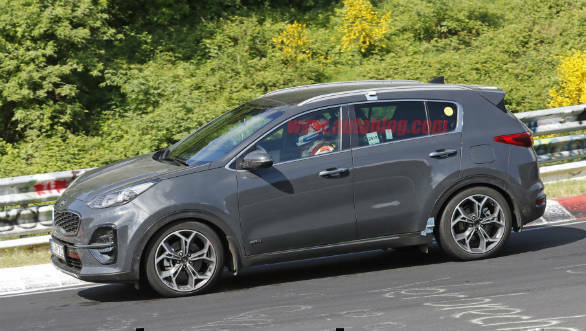 As seen in these pictures, the SUV now new elements for the headlamps and a refreshed front bumper with a strip splitting the new larger foglamp housings. The lower half of the central grille is also larger and more aggressive. At the back, the taillamps have been reprofiled as well and a new red strip traverses the entire boot lid to connect both lamps. Another notable change is the new bumper mounted reflectors and turn indicators. There shouldn't be any drastic mechanical changes to the car either. The car should carry over its present range of 1.6 and 2.0-litre petrol and diesel engines available globally. With Kia making its India-debut soon, the Sportage was showcased at this year's Auto Expo with a 2.0-litre diesel motor with 185PS and 402Nm. OVERDRIVE has also driven this car in our upcoming issue, so check newsstands for that by the end of the month. 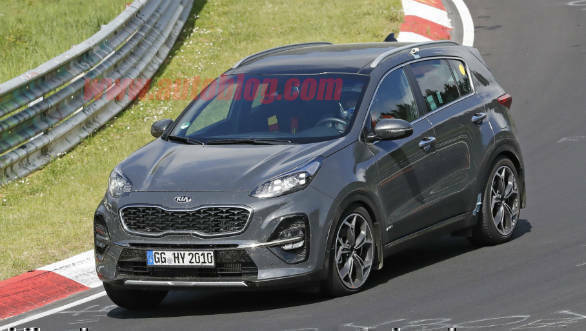 Kia does not have plans of bringing the Sportage to India anytime soon but the SUV should eventually be made available here, given the heavy appetite for such cars in India. 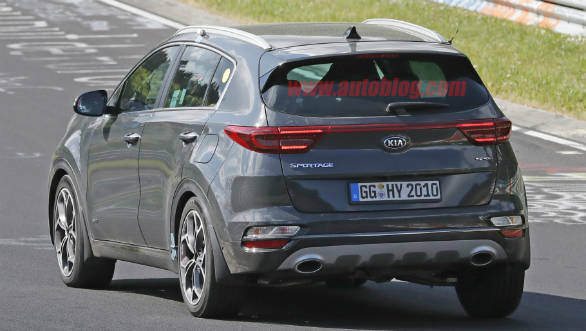 When launched, it will compete with the Hyundai Tucson, the Jeep Compass and the upcoming Honda CR-V. Kia's first car will be the production version of the SP concept shown at the Auto Expo.